While I was painting my bedroom for the 2nd time is a week (color woes!) I had a pretty much had a whole day to listen to podcasts. I was able to check out a few episodes of a great new series called Household Name. If you're looking for something to listen to I highly recommend it. Each episode tell the story of a well-known brand, but not the story you already know. The Disney episode told a really interesting story about social groups that formed at Disneyland and have been confused with (and a bit influenced by) gangs. Like motorcycle gangs. At Disneyland. With vests, patches, glitter and everything. I think the Amway episode will be next on my list, since I'm already obsessed with this podcast about MLMs. An article titled "How Package Design Can Give Brands an Edge on the Competition" popped up in my news feed today. You might think this insight is coming from a designer or an agency, but it's not. It was one of the topics from the Footwear Trade Distribution & Customs Conference (who knew?). The article linked above expands a bit on the role of packaging in creating an experience for the customer both in store and as part of the online shopping boom. They also highlighted Allbirds for the experience they create for customers. You know, those cute shoes that keep popping up in your Facebook feed. 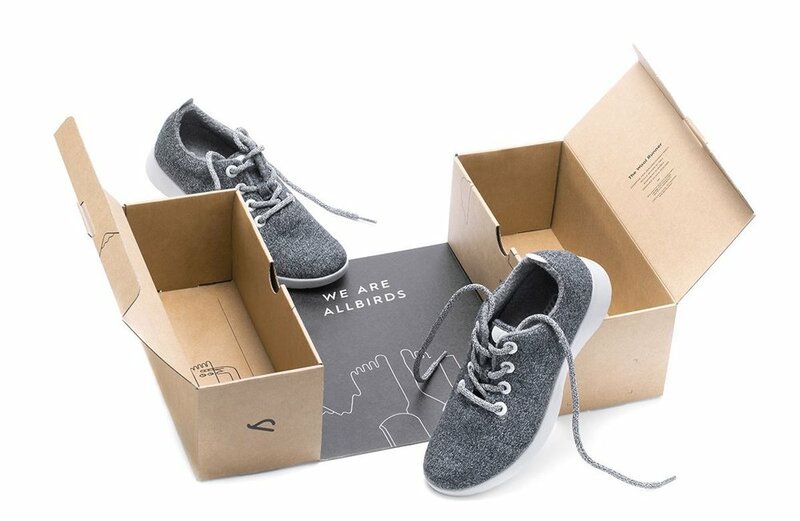 Starting out as an online brand, Allbirds "reimagined shoe packaging, using 90% post-consumer recycled cardboard that serves as a shoebox, shopping bag, and mailer all in one." That's kind of amazing. And the design of this is beautiful to boot. Check out Allbirds unboxing video which really gets to the experience they've created with their package. And as we're seeing with the online brands launching online, Allbirds just opened their first permanent store last month. I guess no matter how good your photos are online or how fast your product ships, some people still want to try on their shoes before they buy them. Wrapping up this trip to Nashville, I’m understanding why people are saying it’s the next Vegas: it’s a lot of fun, you can stay out all day and night watching live music but after 4 days it’s time to leave! While out exploring yesterday I found some great packaging. A few of these items are local and all of them have an authentic feel. Take a look and enjoy! Hi! I'm Kelley. I'm creative director and lover of all things branding and packaging. Milwaukee, WI is the place I call home, but I'll always be an east coast girl at heart. Have a packaging question? Let me know. All works © Kelley Malone and their respective trademark owners.